Have you ever felt like you had to shrink part of your authentic self to fit in at work? Has your passion for sharing your idea or point of view ever been mislabeled as too aggressive or assertive? If so, you may be one of many women who struggle every day with silencing their voice in the workplace to make others feel comfortable. But eventually, your inability to speak up about workplace issues can affect your ability to advance in your career. Joan Wilmer knows firsthand about the pressures women face to not speak up in fear of retaliation or even being fired. Having served 20 years as a human resources leader partnering with C-suite executives across multiple organizations including The Federal Reserve, Caesars Entertainment, and Citigroup, to name a few, she’s been involved in candid and unedited discussions about budding leaders. “I hear what decision-makers say and I have seen black women being taught to make others in a group feel comfortable. When in the company of others, black women are trained to dim their light and intelligence to not make them feel inferior. Some call it ‘code- switching.’ As a black female, I too have experienced this personally,” she says. 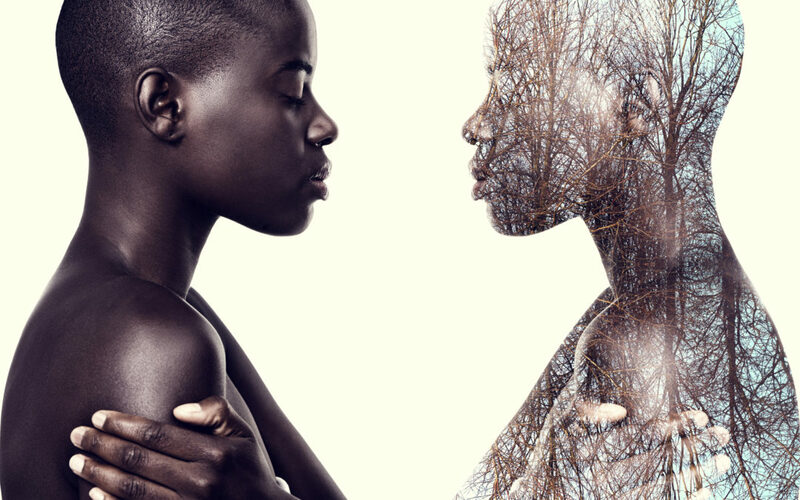 Are You Code-Switching To Hide Parts of Your Identity? Dictionary.com defines code-switching as the modifying of one’s behavior, appearance, etc., to adapt to different sociocultural norms. Whether you’re changing your communication style based on the people you’re dealing with, using a different tone of voice to tone down your blackness or even changing your hairstyle or personality, oftentimes, the pressure to switch it on and off between work and home is at the expense of devaluing yourself. Be prepared to share your knowledge, perspectives, and experiences. Well-prepared and constructed questions that can be presented in a meeting provide a gateway into the conversation and ensure your voice is heard and valued. My preparedness strengthens my voice and allows me, the leader, to show stronger at the table. As a human resources leader, I’m often asked to attend meetings where the subject of the meeting has no mention of human capital, but it is my business acumen and thought leadership that is invited. For example, if it is a finance meeting focused on budget and business performance I study the numbers (and their trends) before I arrive at the meeting. Sometime I will schedule a “coffee chat” with the chief financial officer to ask questions and get an advance preview of the agenda to ensure readiness in the larger forum. It also allows me to vet any concerns openly and directly with the meeting host before getting in a larger forum. This is not a tactic to silence my voice in a meeting, but to clarify my thoughts and to provide a professional courtesy to those I will be engaging at the anticipated meeting. Get involved. When you allow yourself to be silenced, you open the door for others to question your overall presence and value. You were hired for the job, you are there for a reason, and you have something to contribute. Raise your hand to be included in as many meeting forums as possible. Volunteer to join and lead cross-functional corporate (strategic) initiatives and push your comfort zone in this space. Help on projects you are not assigned to and do not “fit” within your area of expertise. This will broaden your institutional knowledge and strengthen your relationships with those who are around the table. Don’t go it alone. Find a career team. You need support in the room, whether you are there or not. Your team should include a career coach, mentor, sponsor, or someone who’s been around the office for a while. This team can help you navigate your career, and open the door for your voice to be heard in important business discussions. When I served in the position of vice president of human resources at Citigroup, the chief technology officer would say in meetings “Joan, what are your thoughts on this matter?” or “Joan, I want to hear your views as a decision maker on this matter.” He made sure I was included in the conversation and given a platform to showcase my knowledge and leadership. Often being the only woman and person of color in the room, this also gave me a boost of confidence. Also, the chief technology officer who served as my sponsor was a white male and not a member of the human resources executive team, but served effectively in this role for me. Sometimes members of your career team can be identified broadly across an organization and their roles can be leveraged to ensure your voice is heard.